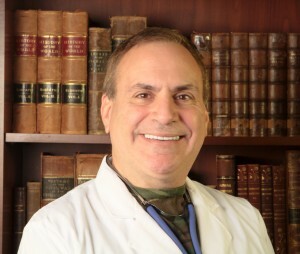 As a physician, I have on occasion dealt with infected wounds, sometimes from injury and also after surgical procedures. In a survival setting, most wounds will be contaminated with debris, dirt, and bacteria. Therefore, anyone who will be medically responsible after a disaster occurs may expect to deal with wound infections. The ability to recognize and treat infected injuries will be an important one to have in times of trouble. The human body is a miracle of engineering. Our immune system probably nips many contaminations in the bud, but a body under stress sometimes can’t effectively fight germs. This explains why certain people, such as diabetics, are so prone to wound infections. The elderly are especially susceptible. Your skin is its own ecosystem, with bacteria that naturally live there, such as Staph. Epidermidis. When the immune system fails to recognize and fight an infection, even “normal” skin bacteria can invade deep wounds and cause serious damage. Delays in healing and even invasion of the circulation can lead to life-threatening conditions. Red, swollen, warm skin around the wound is referred to as “Cellulitis”. If the wound is deep enough, the bone and its marrow can become infected, which is known as “Osteomyelitis”. Once the bacteria invades the circulation, the entire body is affected. We called this “Septicemia” or “Sepsis”. Septic patients or those with osteomyelitis commonly have fevers to go along with the above-listed signs and symptoms. Proper wound care and frequent dressing changes are the cornerstones to preventing wound infections. In the healing process, new cells fill in an open wound by a process known as “Granulation”. These new cells need a moist environment for rapid growth, and so any deep wound should have a sterile moist (not soaking wet) bandage. A thorough flushing (using a 60 – 100 cc irrigation syringe) with clean water or a mild antiseptic solution will clear out debris and discharge. This should be performed before each dressing change. 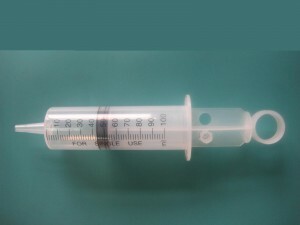 Although iodine or saline solutions are often used to moisten the actual bandage, recent evidence suggests that sterilized drinkable water is probably as good or better. The moist bandage is then covered with a dry dressing. Oftentimes, triple antibiotic cream is applied to the skin (only) before taping the dressing into place. Silver gel, a component of many of our medical kits, is another option. Mark the bandage with the time and date it was placed. Some advocate the use of honey due to its antibiotic properties. Wound dressings should be changed at least once or twice daily. Sanitary precautions such as hand-washing, sterilized instruments, and glove usage will significantly decrease the risks of infection. The most common cause of serious wound infections is the bacteria Staph. Aureus, although Group A Strep, Pseudomonas, and various intestinal bacteria are other micro-organisms commonly seen. An especially troublesome form of Staph. Aureus has shown resistant to the usual antibiotics used. This is called Methicillin Resistant Staph. Aureus, better known to the public as MRSA. Once only seen in hospital-based infections, this resistant micro-organism is now seen in the general population. To find out more about these antibiotics and others, check out our 4-part series of articles on the subject at the link below or check out a print or digital copy of the Second Edition of our book “The Survival Medicine Handbook”. 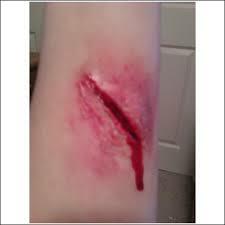 One important point to remember is that you should never attempt to close an infected open wound. Locking bacteria into a wound is a sure recipe for disaster. There is a lot more to prevention and treatment of wound infections that we’ll cover in future articles. If you have a tip to share, put it in the comments section below! Animal Anti-Biotic use and the Impact on us! 4 Comments on "Infected Wounds"
I know vinager will work so will pericocide but in EXTERME cases where there is NOTHING else like to the point its use SOMETHING or loose a LIMB or something can BLEACH be used ?? I know it would be VERY painful but if its that or nothing how about it?? For long term care of wounds, I actually think that sterilized water is fine for dressing changes. Just wondering, wouldn’t you have to let the water cool before adding the bleach? I was thinking that bleach would evaporate in the hot water, unless this is just sterilizing the solution for being an irrigate. I think when they meant “boiled water”, I don’t think they were telling you that you had to add the bleach immediately, only that it had to start out as sterile as possible.